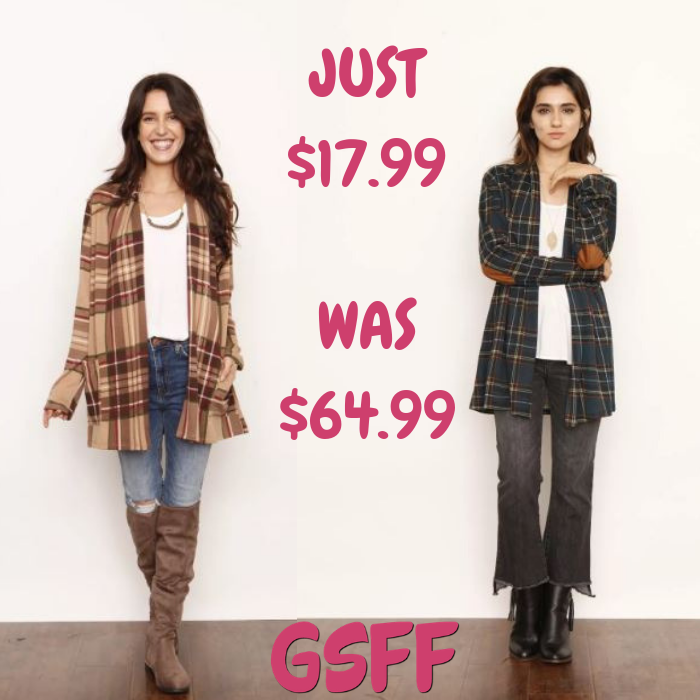 Plaid Cardigan Just $17.99! Down From $65! FREE Shipping! You are here: Home / Great Deals / Plaid Cardigan Just $17.99! Down From $65! FREE Shipping! TODAY ONLY! At Jane, you can get this Plaid Cardigan With Pocket for just $17.99 down from $64.99 PLUS FREE shipping! This luxurious cardigan is a comfortable classic and can be paired with your favorite sandals and boots! It makes a great gift too! 96% polyester 4% spandex Made in the USA.